A senior Republican lawmaker said Tuesday he plans to investigate price spikes in the cost of insulin for people with diabetes as Congress opened hearings on the high cost of prescription drugs. Across Capitol Hill, the House Oversight and Reform Committee was holding its own hearings. Chairman Elijah Cummings (D-Md.) has already announced a sweeping investigation of drug industry pricing practices, sending detailed information requests to 12 major manufacturers. Although Democrats want Medicare to directly negotiate prices and Republicans prefer free-market approaches, they seem united in their disdain for the industry’s pricing. At the White House, President Donald Trump, who once accused drugmakers of “getting away with murder,” has set in motion multiple regulatory actions — from approving more generic drugs to a planned experiment that would use lower international prices to save money for Medicare on certain drugs. The Pharmaceutical Research and Manufacturers of America points to research suggesting that price spikes of a few years ago have eased. Government price-regulation will stifle innovation and deprive patients of timely access to innovative medications, the industry warns. 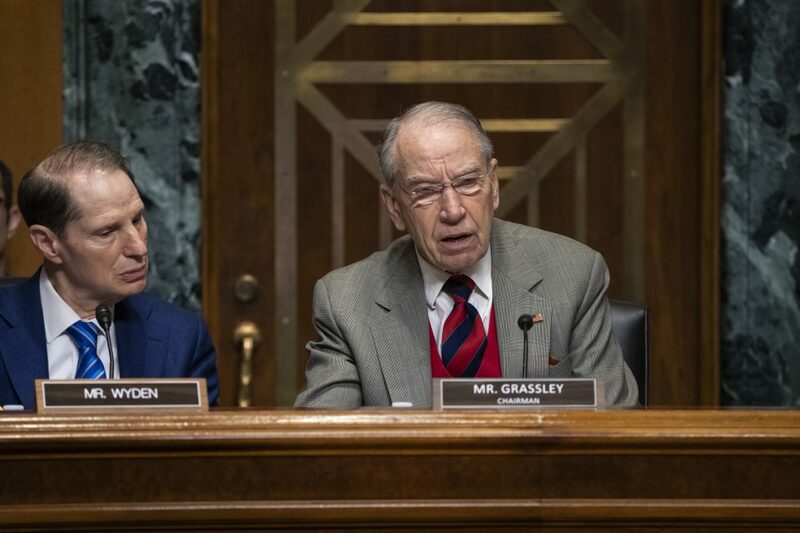 Grassley has returned to the chairmanship of the Finance panel after heading up the Senate Judiciary Committee. Finance has jurisdiction over the government’s major health-care programs. “I want to express my displeasure at the lack of cooperation from the pharmaceutical manufacturers,” he said. Wyden, the ranking Democrat on the panel, said Finance won’t hesitate to use its subpoena power. “They are going to have to show up,” he said of drug company CEOs.